Imagine, for a moment, growing up with a close sibling or friend. You play together, learn together and reach adulthood together. For most of your life, this person has been by your side and then one day, your friend or sibling claims to be God's "Chosen One." Well, for James, the brother of Jesus, this wasn't just an imaginary scenario. In his younger years, he doubted that Jesus was the Savior. But later in his life, he not only became a follower of Jesus; he became the leader of the church at Jerusalem and wrote the New Testament book that bears his name. 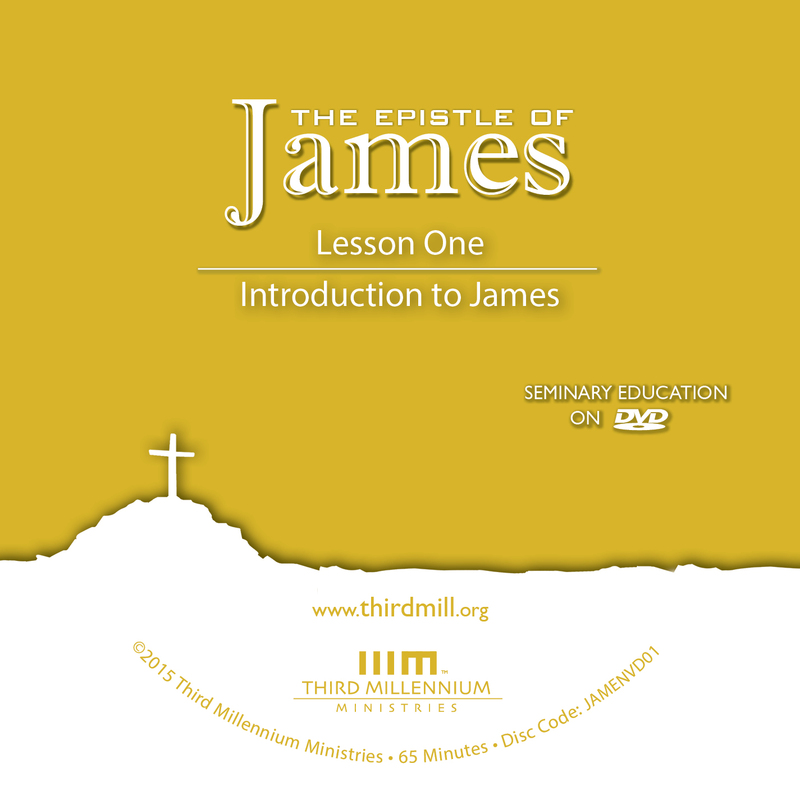 This is the first lesson in our series on The Epistle of James, and we've entitled it "Introduction to James." In this lesson, we'll touch on a number of introductory issues that will enable us to pursue a faithful interpretation of this portion of the New Testament. We'll approach our "Introduction to James" in two ways. First, we'll explore the background of the book. And second, we'll examine its structure and content. Let's begin with the background of the book of James. With any biblical book, it's important to understand the context surrounding its writing as much as possible. The various books of the Bible were written in real historical settings by people with particular motivations and concerns. So, studying these kinds of background issues can help us understand the books themselves. When we consider the settings and motivations associated with the book of James, we're better equipped to understand what the epistle meant when it was first written. And we can apply James' words more effectively to our lives today. To understand the background of James, we'll consider first the authorship of the book. Then we'll look at the original audience. And finally, we'll examine the occasion on which the letter of James was written. Let's begin with the authorship of the epistle of James. Although we know that the Holy Spirit inspired the Scriptures, many books in the Bible, like James, also identify their human authors. And the more we know about biblical authors, then the better prepared we are to understand and interpret what they wrote. So, for this reason, we must learn all we can about who wrote the epistle of James. To investigate the authorship of James, we'll consider two subjects. First, we'll explore the traditional outlook that James, the younger brother of Jesus, wrote the epistle. Second, we'll explore the author's personal history. Let's start by looking at the traditional outlook on these matters. James, a servant of God and of the Lord Jesus Christ, To the twelve tribes scattered among the nations: Greetings (James 1:1). As we see here, the letter clearly identifies a man named "James" as the author. But this greeting doesn't settle precisely who this man was. Five different men in the New Testament, including two of Jesus' twelve disciples, were named James. But only two of these five men would have had enough authority in the early church to write a letter like this. The first of these two was James, the son of Zebedee and the brother of John. But according to Acts 12:2, this James was martyred under Herod Agrippa I around A.D. 44. As we'll see later, there are good reasons for believing that the book of James was written after Herod's death. So, it's highly unlikely that James, the son of Zebedee, was the author. The second James was the younger brother of Jesus. He was also the leader of the early church in Jerusalem. This James was, by far, the more prominent of the two and the one most theologians have attributed the epistle to through the centuries. There is a great deal of support for the traditional outlook that Jesus' brother James wrote this epistle. But there are also a few objections. Let's begin with the support for this view. Support. In the first place, in 1:1, the writer didn't give any credentials beyond saying that he was "a servant of God and of the Lord Jesus Christ." He simply assumed that his name alone would be recognized and would carry sufficient authority. And based on this authority, his letter contains one strong command after another. This opening greeting, then, makes a strong case for Jesus' brother James because of his status in the early church in Jerusalem. In the second place, the testimony of the early church confirms this outlook on the authorship of the book. The First Epistle of Clement, written around A.D. 96, and the Shepherd of Hermas, written around A.D. 140, both either refer to or quote from James' epistle. And Origen, who died in A.D. 254, quoted the book of James several times in his Commentary on the Epistle to the Romans. Origen's use of James is particularly significant because in Book 4, Chapter 8, Origen identified the author of James as "the brother of the Lord." We also know that the church in the East, and later the church in the West, accepted this letter as the work of Jesus' brother. Now, despite this strong support for the traditional outlook that Jesus' brother James was the author, there have been some objections. Objections. Critical interpreters have suggested at least two alternatives. Some interpreters have looked for an unknown James in the early church. They say that the person who wrote the letter was indeed named James, but he wasn't the son of Zebedee or the brother of Jesus. He remains obscure because he wasn't mentioned in any other writings of the infant church. However, this theory is unlikely. As we've already noted, the simplicity of the author's identification at the beginning of the letter indicates that he was well known. It's highly doubtful that there would have been nothing else written about him. A second theory offered by critical interpreters is that of pseudonymity. 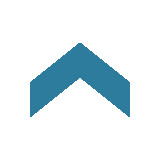 Pseudonymity refers to the practice of assigning written works to someone other than the actual author. This practice took place among Jews in the first century for a variety of reasons. One prominent reason for pseudonymity was to give weight or authority to a book or letter. In the case of James' epistle, critical interpreters have argued that someone other than James used his name to gain wider acceptance for their letter in the church. Now, according to passages like 2 Thessalonians 2:2, this practice was scorned in the first century church as deceit. But critical scholars still offer at least three arguments for this objection. First, they say, there is no mention of the author's relation to Jesus. They say it's unthinkable that a brother of Jesus would write to the churches and not reveal this familial bond when he identified himself. But Jude, the author of the epistle of Jude, was also Jesus' brother. And he never mentioned his blood-ties to Jesus in his letter. So, this argument for pseudonymity is weak at best. Second, some critical scholars assume pseudonymity because the book gives evidence that the author was aware of Hellenistic — or Greek — culture, and James was a Jew from Palestine. It's true that the writer of James had some awareness of Greek culture. For instance, in James 3:6, he used the phrase "the whole course of one's life." This phrase was commonly used in Greek philosophy and religion. But at the time James' letter was written, many well-educated Jews in Palestine had more than a passing knowledge of Hellenistic philosophy and religion. In addition, while the Greek of James is more sophisticated than what we find in other portions of the New Testament, it isn't, by any means, the most sophisticated Greek in the New Testament. In fact, the letter is quite similar in style to books such as Testaments of the Twelve Patriarchs and other Hellenistic Jewish writings of that time. A third argument for pseudonymity points to inconsistencies with the theological portrait of James in the books of Acts and Galatians. This view suggests that some of the ideas expressed in the epistle of James don't match theological outlooks attributed to James in these other New Testament books. For instance, critical interpreters point to passages like Acts 21:17-25 and Galatians 2:12. They argue that, in these verses, James appears to be a spokesman for a rather conservative Jewish-Christian position on the law. But in James 1:25 and James 2:12, the author seems to take a somewhat lenient view of the law, calling it the "law that gives freedom." But these differences simply are not as great as critical scholars make them out to be. On closer review, the verses cited in Acts and Galatians don't portray an extreme Jewish-Christian point of view. And James' position on the law in Acts and Galatians is, actually, very consistent with the theology of the letter of James. As we can see, the arguments against James, the brother of Jesus, being the author of this book are weak at best. The arguments in favor of James' authorship are much more compelling. And because of this, most evangelical scholars rightly affirm that James, the brother of Jesus, was the author of the letter that bears his name. We've considered the authorship of James by looking at the traditional outlook. Now, let's look more closely at James' personal history. Even [Jesus'] own brothers did not believe in him (John 7:5). But, at some point in his life, James came to have saving faith in Jesus as his Lord. In fact, James rose to such prominence in the early church that Paul called him, in Galatians 2:9, one of the "pillars" of the church. In addition, we know that, according to 1 Corinthians 15:7, Jesus appeared to James after his resurrection. [Ananus] convened the judges of the Sanhedrin, and brought before them the brother of Jesus, the one called Christ, whose name was James, and certain others, and accusing them of having transgressed the law delivered them up to be stoned. [James] became a true witness, both to Jews and Greeks, that Jesus is the Christ. Now that we've considered the background of James' epistle by looking at some of the issues surrounding authorship, let's explore the original audience of this letter. The twelve tribes scattered among the nations (James 1:1). Believers in our glorious Lord Jesus Christ (James 2:1). Taken together, these verses indicate that James' original audience was made up, primarily, of Jewish Christians who lived outside of Palestine. On several occasions in his book, James addressed his audience affectionately as "brothers." But how did James, living in Jerusalem, know his audience well enough to speak to them in this way? Well, in Acts 8:1-4 we learn that, in the wave of persecution following Stephen's martyrdom, members of the Jerusalem church were scattered throughout Judea and Samaria. It's possible then that James, as the leader of the Jerusalem church, was writing to these scattered members of "the twelve tribes." But, even if the epistle wasn't addressed specifically to these believers, it seems that James audience was made up of Jewish Christians in similar circumstances. The vocabulary James used also supports the idea that his original readers were Jewish followers of Jesus. For example, in 2:2, James chose the word sunagogē or "synagogue" to describe his audience's meetings. This was a typical way to refer to Jewish gatherings. And in 5:4 James used the phrase "Lord Almighty," or kurios sabaoth. This phrase comes from a common Old Testament name for the God of Israel, Yahweh tsabaōt. Language of this kind makes much more sense if the recipients have strong Jewish roots. Now, when we say that James was writing to Jewish Christians, we don't mean that there were no Gentile believers in the churches James addressed. As early as Acts 8 we know of an Ethiopian convert. And, as we learn in Acts 10, there were many Gentile, God-fearing converts to Judaism who attended synagogues. So, it wouldn't have been surprising to find at least some Gentile believers in these churches as well. Still, according to Romans 9:8, Gentile believers were regarded as "Abraham's offspring." And, ideally, they were considered just as much a part of the twelve tribes of Israel as any who were Jews by bloodline. We've looked at the background of James by considering the epistle's authorship and its original audience. Now, we're ready to examine the occasion of its writing. We'll explore the occasion of the writing of James in three steps. First, we'll touch on the location of both the author and audience. Second, we'll consider the date of composition. Third, we'll think about the purpose of James' epistle. Let's begin by looking at the location of both the author and the audience of this letter. The location of the author isn't difficult to discern. Both the New Testament and early church fathers suggest that James lived his life of ministry in Jerusalem. And he remained in Jerusalem until he was martyred in A.D. 62. Because of this, there's no reason to think that he wrote the epistle from any other location. The location of the original audience is also somewhat straightforward. As we just mentioned, the letter's recipients were most likely Jewish believers who had been scattered throughout Judea and Samaria after the murder of Stephen. Acts 11:19 tells us that these displaced believers traveled as far as Phoenicia, Antioch and Cyprus in search of a safe place to live. We can't be positive that James wrote to believers in these specific locations. Yet, based on James' initial greeting to the "twelve tribes scattered among the nations," these areas are strong possibilities for the location of James' original audience. Keeping in mind this first aspect of the occasion of James' epistle — the location of the author and audience — now, let's consider the date of the letter's composition. The earliest and latest likely dates for this letter are fairly easy to establish. First, the earliest likely date for the letter's composition is A.D. 44. We know that James wrote his epistle as the leader of the early church in Jerusalem. Acts 12:17 indicates that James became a significant leader of the Jerusalem church by the time of Peter's release from prison. According to Acts 12:19-23, Peter was released in the year Herod Agrippa I died in A.D. 44. This makes it most likely that the epistle was not written much before this date. Second, the latest possible date of composition for the epistle is A.D. 62, the year of James' martyrdom. As we saw earlier, according to Josephus, James died at the hands of the priest Ananus near this time.  This provides a brief window for the letter's composition. The letter itself doesn't include specific references to historical events that would date it more specifically. But there are at least two reasons to think that the date of composition was earlier, rather than later. For one, as we mentioned before, in 2:2, James used the word sunagogē, or "synagogue," to describe his audience's meetings. The use of "synagogue" seems to indicate an early stage in the development of the Christian movement. James may have written before Christians were forced out of the synagogues. Or, at the very least, he wrote at a time when Christians were still calling their gatherings a "synagogue." In addition, there's no mention in James' epistle of the Jewish-Gentile controversies that received so much attention in the writings of Peter and Paul. In the early church, as Gentiles came to faith in Christ in large numbers, conflicts arose over whether or not these new believers should be required to conform to Jewish customs. Perhaps James simply chose not to deal with these controversies. But more likely, they hadn't yet become a major factor in the life of the young churches that James addressed. Having looked at the letter's occasion both in its location and its date, let's examine James' purpose in writing this letter. If any of you lacks wisdom, you should ask God, who gives generously to all without finding fault, and it will be given to you (James 1:5). James called his audience to pursue wisdom from God so that they would have joy in their trials. You adulterous people, don't you know that friendship with the world is hatred toward God? Anyone who chooses to be a friend of the world becomes an enemy of God (James 4:4). Clearly, there were some in James' audience who had strayed far from the faith. And James warned them that being friends with the world made them "an enemy of God." It's no wonder then that James exerted his authority as a leader of the church. Repeatedly, James commanded his readers to live in a manner consistent with a sincere profession of faith. He used more than 50 imperatives, or direct commands, in his 108 verses. And he often used other grammatical forms that functioned just like imperatives within their contexts. Come near to God and he will come near to you… Humble yourselves before the Lord, and he will lift you up (James 4:8-10). James directed believers to humble [them]selves so that God would lift [them] up. He taught that humility before God is a path to wisdom. And when Christ's followers draw near to God in humble submission, the wisdom they receive brings joy, even as they persevere through trials. So far in our Introduction to James, we've looked at the background of James. Now we're ready to examine the epistle's structure and content. We've just suggested that the book of James focuses a great deal of attention on wisdom as the way to find joy in times of trial. But this emphasis on wisdom helps us understand something more than just the purpose of this book. Many interpreters have spoken of the book of James as the New Testament book of wisdom. And this perspective also helps us grasp the unusual structure and content of the epistle. By the time James wrote his letter, there had been a long history of wisdom literature stemming from the Old Testament. Old Testament wisdom writings include Job and Ecclesiastes, as well as the book of Proverbs and a number of so-called wisdom psalms and prophetic wisdom sayings. James' indebtedness to this Old Testament literature is evident in a number of ways. For instance, in 5:11, James used the example of Job, the main character in the book of Job, to promote perseverance. Beyond this, James touched on topics such as speech, the treatment of widows and orphans, poverty, and favoritism. These topics reflect numerous parallels with the content of the book of Proverbs. If you desire wisdom, keep the commandments, and the Lord will bestow it on you. Blessed are those who are persecuted because of righteousness, for theirs is the kingdom of heaven (Matthew 5:10). Blessed is the man who perseveres under trial, because when he has stood the test, he will receive the crown of life that God has promised to those who love him (James 1:12). Because of James' close ties to wisdom literature, the structure of the epistle is quite different from what we might expect. Even a brief look at this letter tells us that its organization isn't simple. In fact, from our modern point of view, it can seem quite disorganized. Much like the book of Proverbs, the book of James deals with a variety of important themes. And it often spends only a few verses on one theme before moving on to another. Occasionally, it returns to one or more of its themes later in the letter, but not with any consistency. Some commentators have even concluded that there is no structure to James. They've suggested that it's only a collection of wisdom sayings with no real order or flow of thought. But we have to be careful here. This letter isn't just a chaotic jumble of unrelated verses thrown together without any order at all. Although the book of James resembles wisdom literature in both form and content, it also differs from that genre in a variety of ways. Unlike other wisdom literature, James is a letter written to specific churches. And for this reason, it does reflect some of the organizational features of other New Testament epistles. There's little agreement among interpreters on the organization or structure of James. But for the purposes of this lesson, we've divided the book into seven sections. The epistle opens with James' greeting in James 1:1. The first major division is an introduction to the main themes of the book that we might call wisdom and joy in James 1:2-18. The second major division expresses James' concern for wisdom and obedience in James 1:19–2:26. The third major division deals with wisdom and peace in the Christian community in James 3:1–4:12. The fourth major division focuses on wisdom and the future in James 4:13–5:12. The fifth and final major division is devoted to what we may describe as wisdom and prayer in James 5:13-18. After these five major divisions there is a concluding exhortation in 5:19 and 20. Let's take a closer look at each of these divisions, beginning with the greeting in James 1:1. We shouldn't miss how James described himself here. He called himself "a servant of God and of the Lord Jesus Christ." James could have introduced himself as the leader of the church, or even as the brother of Jesus. Instead, he chose to make the point that he was the servant of God and Christ. This dual reference may be James' personal statement of humility, a theme he touches on later in the book. Here he exemplified that humility by making it clear that he was the servant of his brother, Jesus. Following the greeting, the first major division centers on what we've called wisdom and joy. Consider it pure joy, my brothers and sisters, whenever you face trials of many kinds (James 1:2). This passage may seem odd to us, especially because it addresses people who were facing "trials of many kinds." But James' appeal to consider trials "pure joy" is not as unusual as we might think. The phrase "pure joy" comes from the Greek expression pasan charan that may be translated "complete, unmitigated joy." This kind of encouragement fits well with other wisdom literature of James' day. Many times, wisdom writings encouraged those who suffered to consider themselves blessed. Jesus, for instance, closed the beatitudes in Matthew 5:12 with the call to "rejoice and be glad" in the face of persecution. If any of you lacks wisdom, you should ask God, who gives generously to all (James 1:5). [God] chose to give us birth through the word of truth, that we might be a kind of firstfruits of all he created (James 1:18). When we receive the wisdom to understand how God works through trials, we can be joyful. Wisdom strengthens our confidence that God has ordained for us the blessing of eternal salvation. After his discussion on wisdom and joy, James moved to the relationship between wisdom and obedience. In this section, James discussed wisdom and obedience in three basic steps. To begin with, 1:19-27 introduces the importance of taking action rather than just listening or talking. To hear the word is simply not good enough. The word of wisdom from God must also lead to faithful obedience. Otherwise, we are deceiving ourselves. Who is wise and understanding among you? Let them show it by their good life, by deeds done in the humility that comes from wisdom (James 3:13). As this verse indicates, wisdom and understanding of God's purposes in trials and suffering is no mere intellectual matter. Those who have it will show it by their good life, by deeds done in humility that comes from the wisdom that God gives. Following this introductory call to action, James elaborated on the connection between wisdom and obedience by focusing on the problem of favoritism in 2:1-13. Some people within James' audience had apparently been showing preference to the wealthy and neglecting the poor. And in this section, James addressed this problem by calling them to give proper attention to what he called "the royal law." If you really keep the royal law found in Scripture, "Love your neighbor as yourself," you are doing right (James 2:8). Essentially, neglecting the poor in favor of the rich is a failure to "love your neighbor." And James taught that they must avoid the sin of favoritism by keeping the royal law. The law of the Lord is perfect, reviving the soul. The statutes of the Lord are trustworthy, making wise the simple (Psalm 19:7). After introducing the importance of action in response to the word of wisdom and resisting favoritism by obeying the royal law of God, James addressed the relationship between faith and obedience in 2:14-26. What good is it, my brothers, if a man claims to have faith but has no deeds? Can such faith save him? (James 2:14). As the body without the spirit is dead, so faith without deeds is dead (James 2:26). According to James, having the right beliefs is not enough. A faith that does not show itself in obedience is dead. It is not true saving faith. After exhorting his audience to live a life of obedience, James focused his attention on the relationship between wisdom and peace among followers of Christ. What causes fights and quarrels among you? (James 4:1). Although this verse comes in the middle of this section, in a variety of ways the entire section deals with this question. In this section, James noted three main issues associated with wisdom and peace among believers. First, in 3:1-12, James focused on the tongue, or our use of words. [Ships] are so large and are driven by strong winds, [but] they are steered by a very small rudder… Likewise the tongue is a small part of the body, but it makes great boasts (James 3:4-5). The tongue … [is] a world of evil among the parts of the body. It corrupts the whole person, sets the whole course of his life on fire, and is itself set on fire by hell (James 3:6). James' warning against the tongue's capacity for evil is very similar to what we find in the book of Proverbs. Proverbs also deals with the dangers associated with the tongue, or speech, a number of times. We find this in places like Proverbs 10:31; 11:12; 15:4; and many other verses. Both James and Proverbs pointed out that words can lead to all kinds of trouble among God's people. To avoid conflict and live in peace, we must control our tongues. The second issue tied to wisdom and peace, involves two kinds of wisdom. We find this in 3:13-18. If you harbor bitter envy and selfish ambition in your hearts… such "wisdom" does not come down from heaven but is earthly, unspiritual, demonic… But the wisdom that comes from heaven is first of all pure; then peace-loving, considerate, submissive, full of mercy and good fruit, impartial and sincere (James 3:14-17). As we see here, to explain the relationship between wisdom and peace, James distinguished between earthly, even demonic, wisdom, and wisdom that comes from heaven. Earthly wisdom leads to bitter envy and selfish ambition. But wisdom from God brings peace in the Christian community. Peacemakers who sow in peace raise a harvest of righteousness (James 3:18). The third issue in this section, in 4:1-12, looks at wisdom and peace in relationship to the inward conflict that followers of Christ experience. Submit yourselves, then, to God… Come near to God and he will come near to you… Humble yourselves before the Lord, and he will lift you up (James 4:7-10). Only humble submission to God would put an end to their fights and quarrels and give them peace with one another. Now, let's consider the relationship between wisdom and the future. James' discussion of wisdom and the future can be divided into three parts. The first part is found in 4:13-17 and deals with those who were making plans for the future as if God were not in control. You ought to say, "If it is the Lord's will, we will live and do this or that." As it is, you boast in your arrogant schemes. All such boasting is evil (James 4:15-16). Only God controls the future and those who are wise will acknowledge this. In the second part of this section, James gave attention to wisdom and the future in a slightly different way. In 5:1-6, he warned against hoarding wealth because of the future day of judgment. Your gold and silver are corroded. Their corrosion will testify against you and eat your flesh like fire. You have hoarded wealth in the last days (James 5:3). As this passage indicates, accumulating wealth at the expense of others will bring severe judgment. The third part of James' discussion on wisdom and the future, in 5:7-12, turns to waiting patiently for God's plan for the future to unfold. Be patient, then, brothers and sisters, until the Lord's coming. See how the farmer waits for the land to yield its valuable crop, patiently waiting for the autumn and spring rains. You too, be patient and stand firm, because the Lord's coming is near (James 5:7-8). As we've just pointed out, James' words in this section did more than just admonish the wealthy. They also encouraged the poor and oppressed. James' strong rebuke reminded his audience that the Day of Judgment was coming. And at that time, those who had faithfully depended on God would be rewarded. In this way, he encouraged the faithful to continue on the path of godly wisdom, living out their profession of faith, obedient to God in the light of the grand finale of God's plan for the future. After explaining to his readers how wisdom is related to joy, to obedience, to peace and to the future, the book of James closes with a short practical application of wisdom and prayer. Is any one of you in trouble? He should pray. Is anyone happy? Let him sing songs of praise. Is any one of you sick? He should call the elders of the church to pray over him (James 5:13-14). After finishing the main body of his epistle with his call to patience and prayer in trials, James ended the letter with an exhortation. In 5:19 and 20, James urged his audience to watch out for each other and bring back those who had wandered away from the truth. He reminded them that, as brothers and sisters in the community of faith, they had the obligation and privilege to lead people back to a faith that truly saves. In this Introduction to James, we've looked at the background of the book and noted the author, the audience, and the occasion of writing. We've also explored the letter's structure and content and seen how this book serves as the New Testament book of wisdom for believers facing the discouragement of trials through joy, obedience, peace, the future and prayer. The book of James challenged first century Christians to seek God for wisdom so that they could have joy as they endured trials. Of course, you and I live in very different circumstances than the original audience of James. But we also do face trials, and we also need wisdom from God to help us deal with those trials. Just like James' first audience, we need the pure joy that God's wisdom brings. Although, in this lesson, we've only touched on what this book offers, one thing should be clear: The epistle of James charts a path for wise living in every age. And the more we apply this book to our own lives, the more we'll receive the blessing of pure joy that God offers his people, no matter what trials or difficulties we may face. Dr. Paul Gardner (Host) is Senior Pastor at ChristChurch Presbyterian in Atlanta, Georgia. Dr. Gardner formerly served as lecturer of New Testament at Oak Hill Theological College in London and as Archdeacon of Exeter in the Church of England (2003-2005). He is the author of several books and commentaries including Revelation: The Passion and Protection of Christ; Ephesians: Encouragement and Joy in Christ; and 1 & 2 Peter & Jude: Christians Living in an Age of Suffering. Dr. Michael Kennison is Associate Pastor for Care at The Kirk of the Hills in St. Louis, MO. Rev. David Lewis is Assistant Professor of Exegetical Theology at Concordia Seminary. Dr. Dan McCartney was formerly Professor of New Testament Interpretation at Redeemer Theological Seminary. Rev. Dr. Thurman Williams is Associate Pastor at Grace and Peace Fellowship in St. Louis, MO.